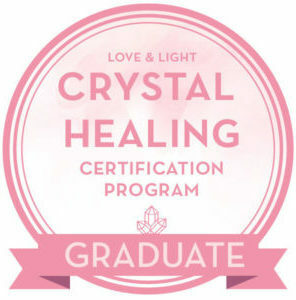 A little about crystal facials that I do! It is one of the first treatments I developed while studying and it’s one that seems like nothing but means a lot to me personally. Sodalite on the throat chakra to balance and harmonize this chakra. 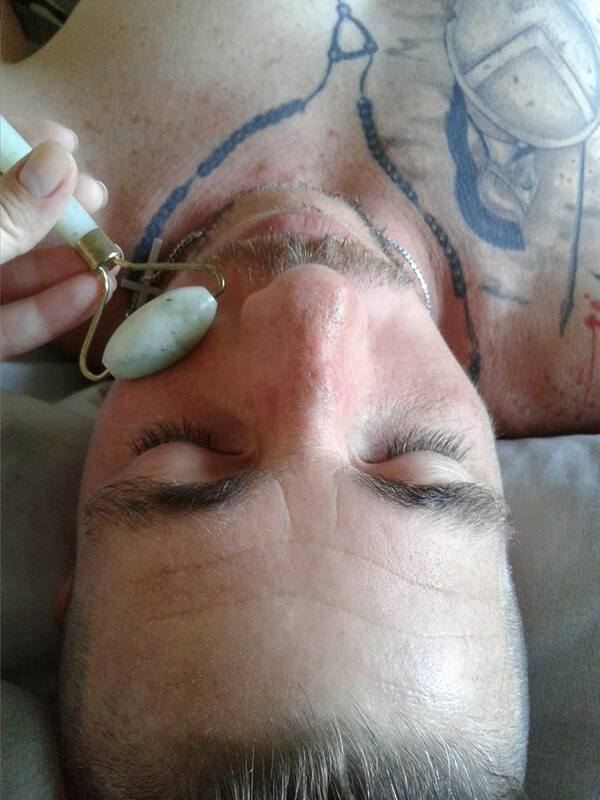 The Jade roller I use after working with the energy from the crystals to stimulate the skin, reduce puffiness, increase blood flow and it’s good for lymphatic drainage. Jade is known for its incredible healing energy, especially for the skin. This isn’t like a facial you would go for with a beautician because I do not use any products on your skin. 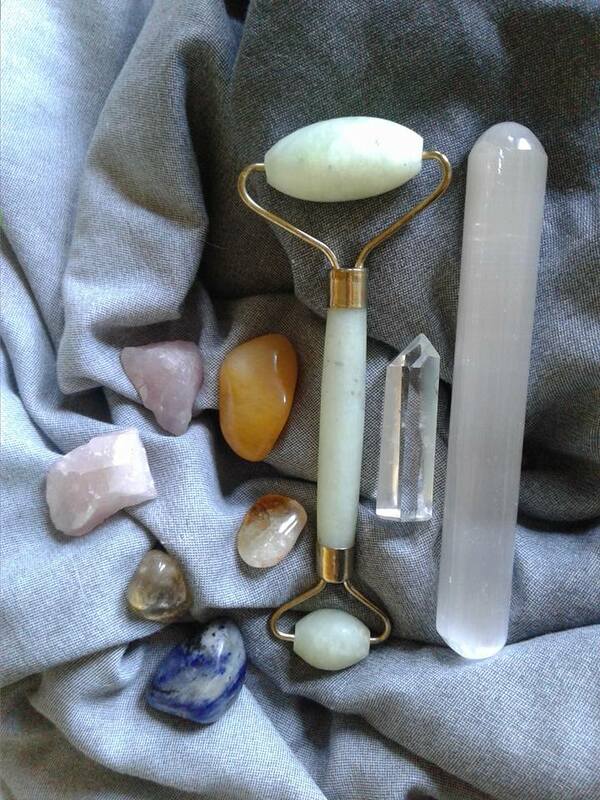 All I use is mother nature’s products aka crystals. Generally, we are thinking, worrying or stressing about something most of the time during our day and that energy has to go somewhere – it is stored up in the head right? If you’re storing a lot of energy there, what do you think this is doing to your skin? EXACTLY! It is no good AT ALL! Not only can excess energy in the head manifest physically has a headache, it also has an aging and tiring effect on the skin. 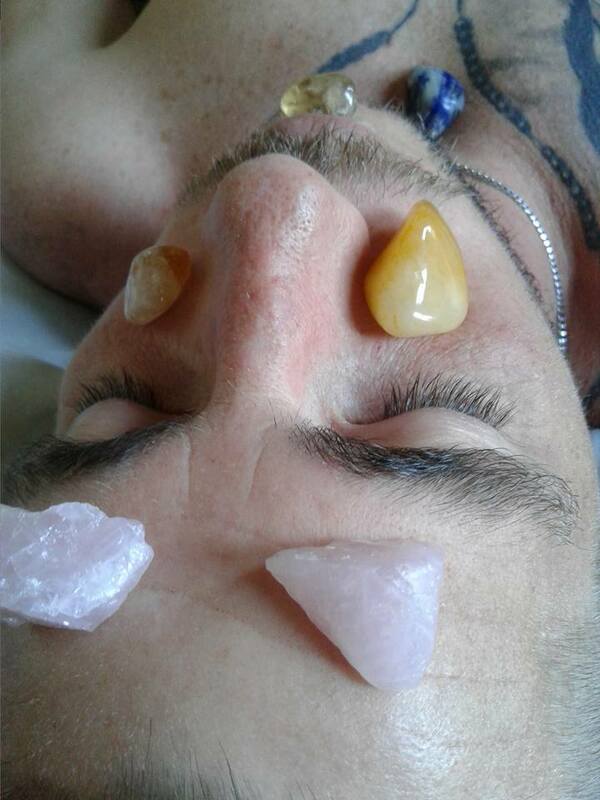 Crystal Facials help to release that energy and it also puts in some good energy to a part of our body that we don’t always pay a lot of attention to but yet use 100% of the time. Yes even when we are sleeping! Are you going to be 50 years younger from one session? NO! But you are going to feel a lot better getting rid of excess energy and you’re going to have a good glow.